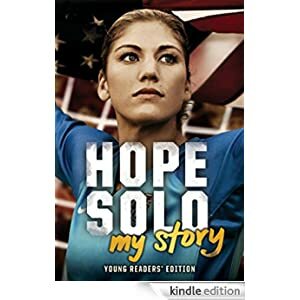 In this young readers’ edition of Hope Solo’s exciting life story, adapted from Solo: A Memoir of Hope, the starting goalkeeper for the U.S. women’s national soccer team gives readers behind-the-scenes details of her life on and off the field. Solo offers a fearless female role model for the next generation, driven to succeed on her own terms. Young fans will truly be inspired by Hope’s repeated triumphs over adversity. Her relentless spirit has molded her into the person she is today—one of the most charismatic athletes in America. This memoir is for readers in grades 5-10 and is selling for $1.99 today.